Do you want to improve your strength and flexibility? Test your limits and see what you’re really made of at EVF Performance. We have a talented coaching staff and supportive community that will push you to new heights. Step out of your comfort zone and take your training to the next level. Come on in to EVF Performance for your FREE intro session. Tour the facility, meet our members and get some face time with our amazing coaches. Simply fill out the form and someone from our team will call you shortly to discuss the best time for your first visit. 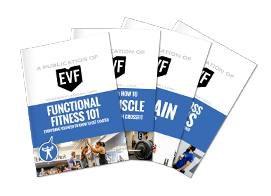 We are also happy to help answer any questions you might have about training at EVF Performance. We look forward to meeting you!